I love bacon. Who doesn’t? So I wanted to share a couple of things I made a while back and never posted. The first one is a variation of a recipe called Kaytucky Chicken. 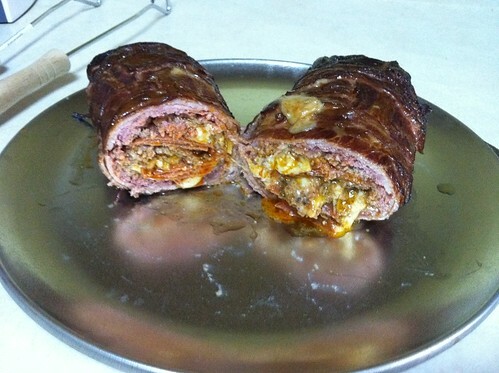 It is an amazing recipe, but not low carb. So I modified it by taking the bacon out of the filling and added chipotle powder, garlic powder, and salt & pepper to the filling. 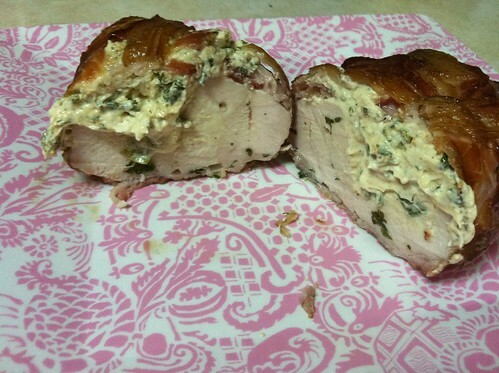 Then I wrapped the chicken breast in bacon and smoked them in my smoker with hickory chunks. It turned out so AMAZING! Then I made another smoked fatty. This time with pizza toppings. It was provolone cheese, garlic, parmesan cheese, pizza sauce, pepperonis, and salt & pepper. It too was pretty amazing, but not as amazing as the chicken. I had a sandwich for dinner tonight made with oopsie rolls. The rolls were pretty flat, but still tasted awesome. 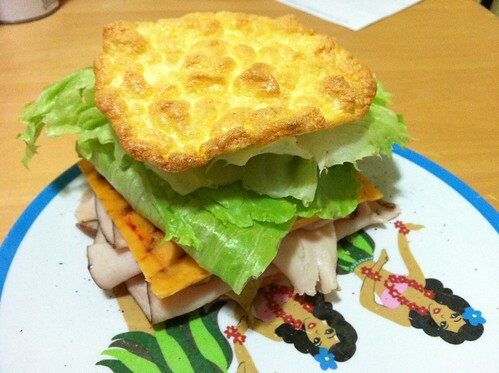 It was oven roasted turkey breast, chipotle cheddar, mayo, spicy mustard, lettuce, and salt & pepper. YUMMY! wow, that all looks so good. Did you use cream cheese in the chicken? I was thinking maybe a Greek flavor with feta and spinach. 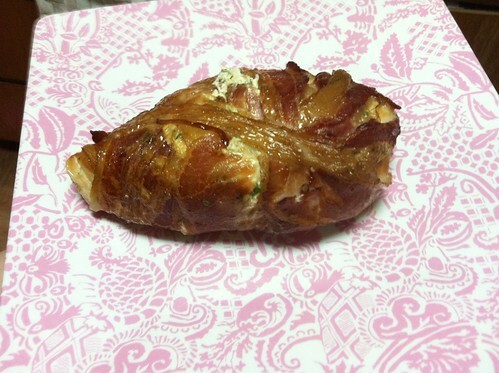 Yep, I used cream cheese, italian parsley, green onion, garlic powder, chipotle powder, and salt & pepper for the filling. Feta and spinach would be amazing! Feta is my favorite cheese! Looks fabulous! Glad you reminded me of oopsie rolls. I need to try those.